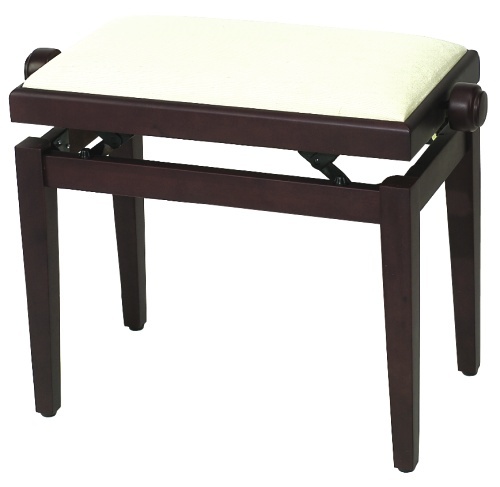 - Piano bench w/ black vinyl top - adjustable height: 49-59 cm / 19.3 - 23.23 in./ - top dimensions (L x W): 55 cm x 32 cm / 21.6 in. x 12.6 in. - weight: 14.33 lbs / 6.5kg - to be assembled - Rosewood matt.